It took me awhile to join in on the Washi tape trend, but now that I have, boy am I smitten! I have found it around the www. and on Etsy, and even recently spotted some at Target! Four rolls for $4. Sweet! 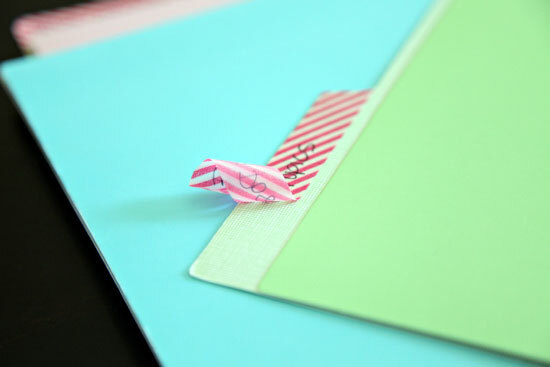 If you check out Pinterest, you can find 1001 ways to use Washi tape. So, this little idea of mine is probably out there 24 other times, but I was so excited I couldn't resist sharing. Labels. Washi tape makes great labels. I discovered this the other day when looking at a jumbled pile of manila folders that I was using for a few miscellaneous blog and contributor projects. I have been taking on so many different tasks that I have been keeping details for each in unlabeled folders, and it was getting out of control. 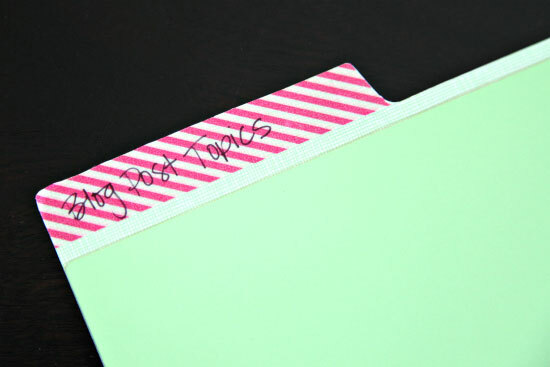 I could have just whipped out my handy label maker or printed out some pretty options from my computer, you know I am a sucker for pretty file labels... But I wanted something quick, funky and easy to change in the future since the projects I am working on seem to shift at the drop of a hat. Washi tape. So simple! 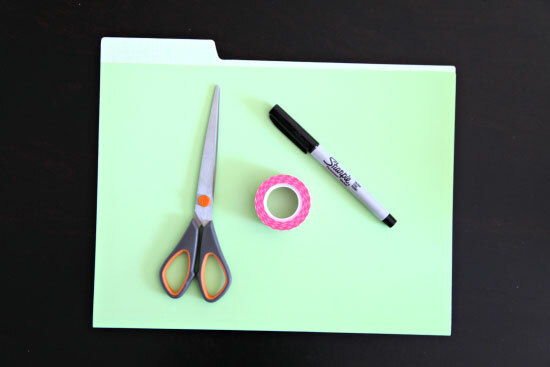 I just put some over the manila folder file tab and trimmed off the excess edges with a small pair of scissors. Fab right? And my trusted black Sharpie pen finished it off! And as I mentioned, my favorite part of it all, is I can swap out the labels quickly and easily and no mess is left behind! Happy to have made this little discovery. I have a feeling the ol' tape is going to start getting a lot more use around the Jones abode. Label happy mama right here. 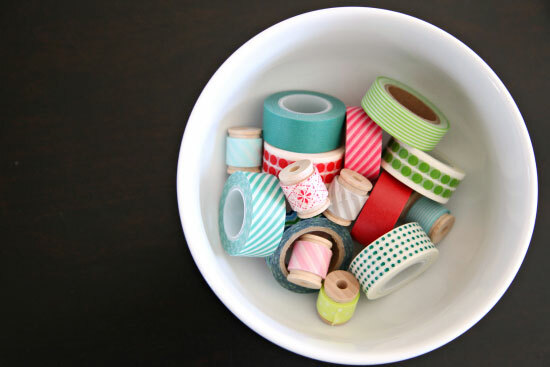 What is your favorite use for Washi tape? I have yet to buy my first roll. Think I better jump on the train before I am left behind. This has my name written all over it. Cute for the file labels. Jen, I just love how you never do the same old thing! 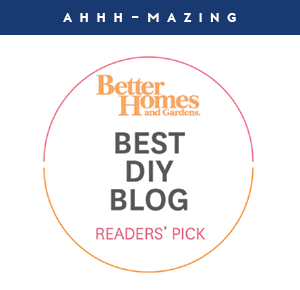 Not that any of your ideas could get old, but let's face it, for every great labeling, corralling, binning, displaying idea you have, you have done it dozen other wonderful ways in other parts of your house. You are so versatile!! Inspiring. Totally agree!! Love your inspiring ideas! I'm in love with the whimsical patterns and colors. I desperately want some of this tape. I can't believe I don't have any yet either and I LOVE how you used it here! MUST. BUY. SOME. Would you mind telling me where in Target did you find the Washi tape? I've looked all over when I'm there, but haven't found any! Target as a source for the tape is new to me. Thanks! I've never really 'got' the whole washi tape thing...now I do! What a great idea. And I have to say Jen, brilliant photography. You really captured how easy it is to remove the labels, and that's always my worry! Wow I am smitten!! Thank you for this great tip/idea!! 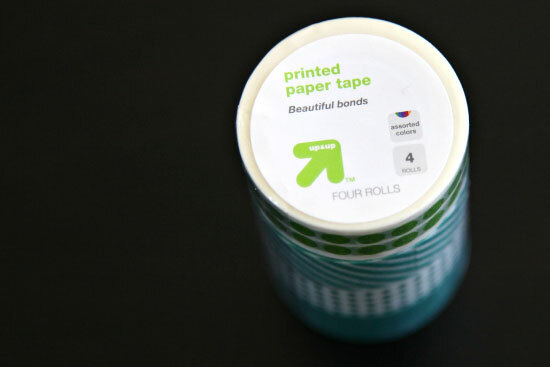 I had never even heard about washi tape until now. I like that you can make quick & easy labels that can be easily changed. Oh hello, I didn't know you could just take it off like that!!! I'm about to dive into washi-tape heaven! Oh, this is perfect timing! I've been trying to figure out what to use to hang items up on a bulletin board. I don't want push pins, but wanted something that was colorful and would come back off easily. This looks like it just might work! Thanks Jen! I had looked around for some in my local stores about a month ago and didn't see it - will definitely be checking again! I have never heard of this stuff! I use painters tape to label everything in my pantry and fridge that changes often, could I use this in place of that? It is so much more fun and cute! I love washi-tape. Etsy has some many cute designs. I really love how they are used for organizing here. I was wondering where you got those folders they look like they are green in the picture?very cute! Where can you buy it? And what isle is it in? I loved using the wide washi-tape as quick and easy bulletin board boarders! Instead of fighting with the stapler and the piece-by-piece craziness of ribbed boarders, I just rolled out the tape and stuck it around the perimeter. Easy-peasy. If only I had great handwriting skills to go with it!! Great idea! 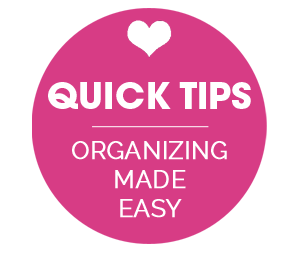 I am definitely more inclined to organize when it is quick and easy. Thanks! 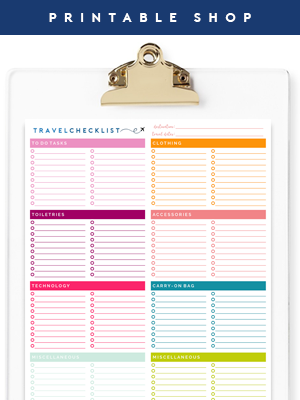 I use it to color code my life planner! 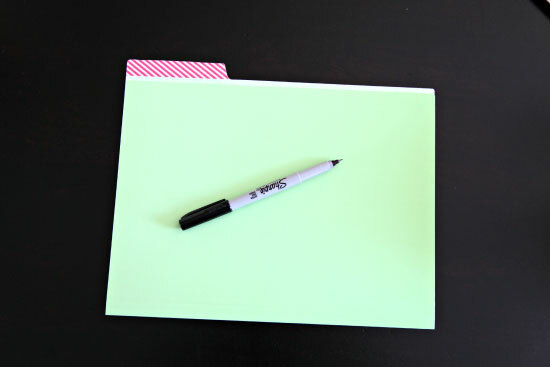 I use different colors for things like blog posts, meal planning, home projects, etc. It makes my planner organized and colorful and like you said the tape is easy to remove so if something changes I can peel it off instead of scribbling through it! 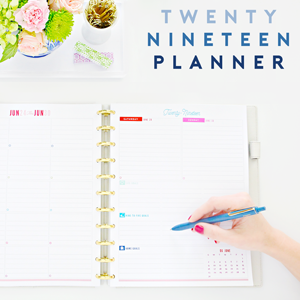 I love that and use it in a few of may planners as well. I first discovered about washi-tape in Japan 6 years ago and i still love it! I use washi tape for scrapping pictures in my recipes notebook, but i also use it for labelling files, for hanging pictures on the wall in front of my desk, for hanging ou weekly menu plan (with your template!) on the wall, for decorating all kind of stuff and even for labelling the laundry baskets with the degrees of washing. Love this new tape. I had no idea about this marvelous stuff. I wonder if I can get my boss to use these. Very handy. Mine still has it and it's in the office supply section. I do both! If it's a very temporary use, I just handwrite the label, if it is longer term, I take the time to label with my label maker over the pretty tape. Just personal preference but both work! 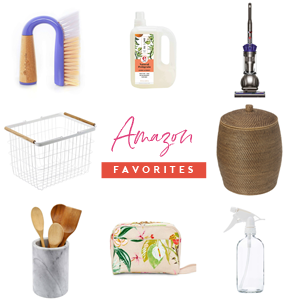 Loving this trend! Found that Michaels has quite a selection and seasonal types go on clearance often. I do find however that cheaper types don't remove as cleanly unless you are really slow and pull at a 45. I would like to use this in our office. We have multiple clients and I need a way to show if they have been used this year. I was hoping to use different tape to represent different years. I was wondering if you think the tape will hold up for a year? Absolutely! I have had some last for multiple years. :) xo!